Welcome to the Tundra! 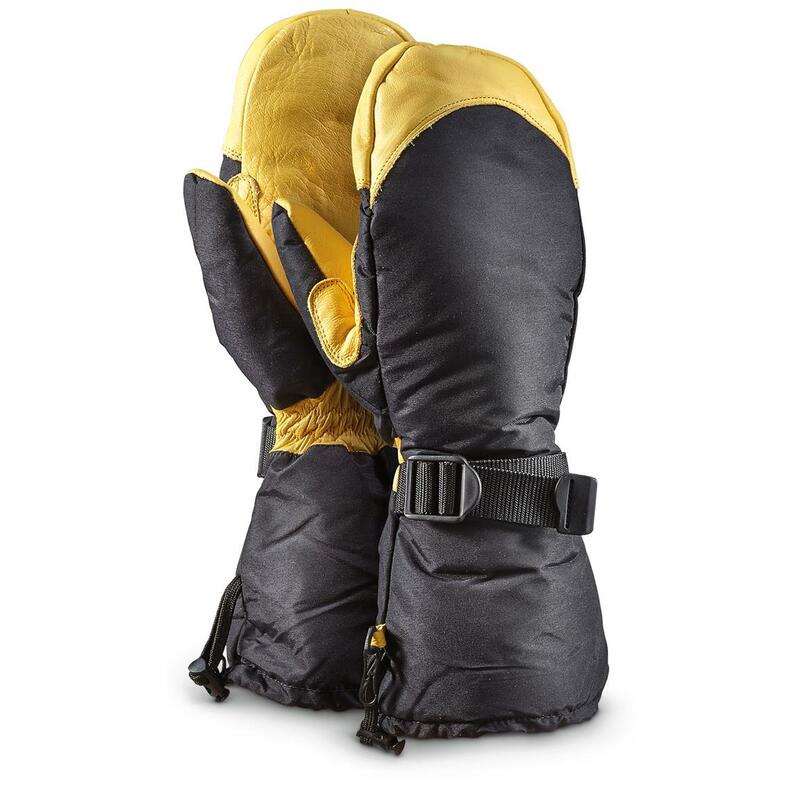 Besides the snow hares, the only beast up and running is going to be you in these incredibly resilient Deerskin Winter Mitts. Frost and snow might build up on the outside, but inside your hands stay toasty warm for the job at hand. Totally WATERPROOF. And windproof even when the wind is whipping out of the north and biting like a snake. Guide Gear Insulated Deerskin Winter Mitts is rated 4.2 out of 5 by 44. Rated 5 out of 5 by BuckeyeBeaver from Great quality! Beautifully made. Very warm. Slightly on the small side but they still fit. Rated 3 out of 5 by muddy Dog from Seams ripped I really enjoy my winter mittens, but after snowshoeing one weekend the seam on one of my gloves busted open and made my gloves unuseable. Rated 5 out of 5 by Satish from Best gloves for Minnesota weather I got them at best price in This website. Keeps my hands warm. Rated 5 out of 5 by panzer115 from Great Chopper Mitts Very well made and keep your hands super warm. I'm a size L but ordered the XL for the ability to put heat packets in but I doubt I will need them. Rated 5 out of 5 by Nam Jam from Great price and comfortable fit. We have not had snow since I got the gloves so my wife and I have only tried them on. Rated 5 out of 5 by Ron18 from Great price. Will be perfect for snowblowing Mitts are warm and comfortable. Rated 5 out of 5 by Mike8583 from Great mitts I needed a pair of mittens to wear when I have to cut ice for our cattle. This mittens keep my hands nice and warm. The divide fingers make it easier to use the axe. I have worn this on mornings when the temperatures were in the single digits even to below zero and no problems staying warm. Great mittens at a great price.